Is your brain ready to get twisted and tickled? 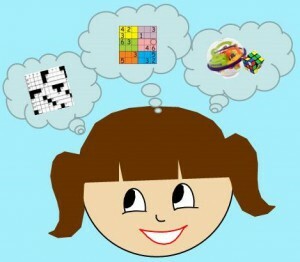 Welcome to Kids Puzzles Online where we have found a huge selection of puzzles online for kids. We have puzzles for all levels and ages, from easy crossword puzzles for pre-schoolers to hard puzzles for kids who want a little more challenge, but all are 100% guaranteed to be fun and all 100% free for you to print and use. We are always adding new puzzles so make sure to visit often. If you have any suggestions or are looking for a particular type of puzzle or theme, please make sure to email us and we would be happy to help. TRY THE SUDOKU KIDS DAILY CHALLENGE! Techozoic 2.1.1 by Jeremy Clark. | 36 mySQL queries in 0.303 seconds.